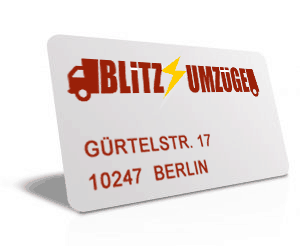 Our Moving Services Offer in Berlin meet the highest possible Standards if one goes in details. Ofcourse we have a comprehensive insurance cover which includes packing and unpacking. Additionally our work is fully equipped. Our Movers are strong but still we use straps for protection. We also manage difficult access routes with outside elevators and work with a comprehensive truck fleet. A additional aspect of our company is the renovation of empty Apartments in inclusive in end cleaniness. In other words, we gladly make sure that you no longer have any work at your old place and can fully adapt to your new domicile. This involves clearing out waste to recycling yard or waste yard, together with the dismantling the apartment or the basement and of course transfering it to the responsible landlord or the property management. Due to the available capacities, we also take care of your normal and Professional storage for every moving assignment in Berlin. The storage boxes that are available with us work for both heated and secured storage. Lastly, every penny is made worthfull when you use our Loading service. Specifically, we as a moving company offer unused space for a furniture transport. If you would like to transport a large item within Berlin or the entire federal territory, please do not hesitate to contact us.